In science and engineering, a tsunami of new experimental and computational data and a suite of increasingly ubiquitous sensors pose vexing problems in data analysis, transport, visualization and collaboration. Cloud computing and “big data” are extending our notions of computational science and engineering, bringing technical, political and economic challenges. Likewise, the end of Dennard scaling and semiconductor limitations pose new technology challenges. What are the hardware and software structures and capabilities that best exploit these capabilities and economics while providing application compatibility and community continuity? What lessons can we learn from the world of big data and HPC and how can they best co-exist? How do we optimize performance and reliability? How do we balance traditional HPC investments against big data opportunities and avoid past research infrastructure pitfalls? This talk will compare and contrast the social, technical, political and economic attributes of big data software and hardware with those of high-performance computing, drawing implementation lessons and suggesting opportunities for research and deployment. Vice President for Research and Economic Development University Computational Science and Bioinformatics Chair University of Iowa, USA Daniel A. Reed is Vice President for Research and Economic Development, as well as University Chair in Computational Science and Bioinformatics and Professor of Computer Science, Electrical and Computer Engineering and Medicine, at the University of Iowa. 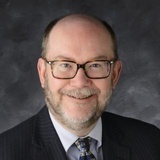 He currently serves as a member of the Department of Energy’s Advanced Scientific Computing Advisory Committee and as a member of the ICANN GNO Council. Previously, he was Microsoft’s Corporate Vice President for Technology Policy and Extreme Computing, where he helped shape Microsoft's long-term vision for technology innovations in cloud computing and the company's associated policy engagement with governments and institutions around the world. Before joining Microsoft, he was the Chancellor’s Eminent Professor at UNC Chapel Hill, as well as the Director of the Renaissance Computing Institute (RENCI) and the Chancellor’s Senior Advisor for Strategy and Innovation for UNC Chapel Hill. Prior to that, he was Gutgsell Professor and Head of the Department of Computer Science at the University of Illinois at Urbana-Champaign (UIUC) and Director of the National Center for Supercomputing Applications (NCSA).